Electromechanical machines from H.W. Egli, Switzerland. This non-profit Swiss Website is intended to summarize historical and technical information from various sources as well as from personal researches. The purpose is to provide a better knowledge of H.W. Egli A-.G. company and its products. A book telling the story of H.W. 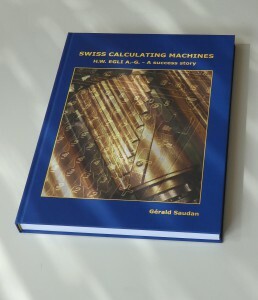 Egli A.-G. and its machines has recently been published. If interested, please use my Contact page.